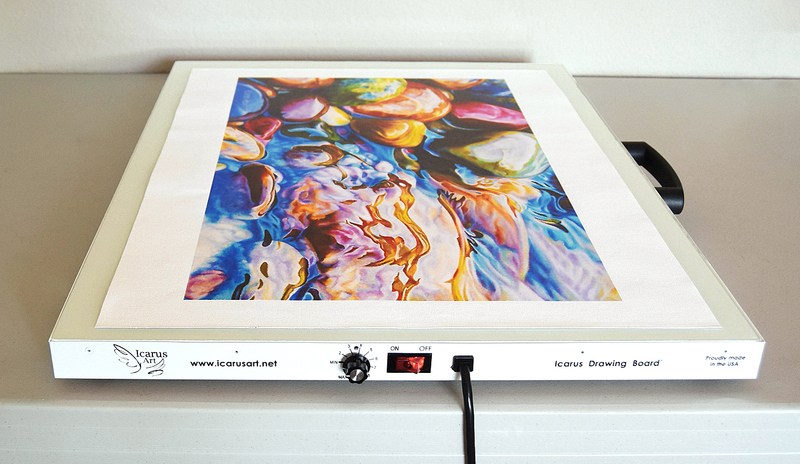 The Icarus Drawing Board is a portable drawing board featuring two working zones, a WARM ZONE and a COOL ZONE. The heated portion of the board is an area of about 8”x 12” for the 2026 model and 6"x 9" for the 1420 model. 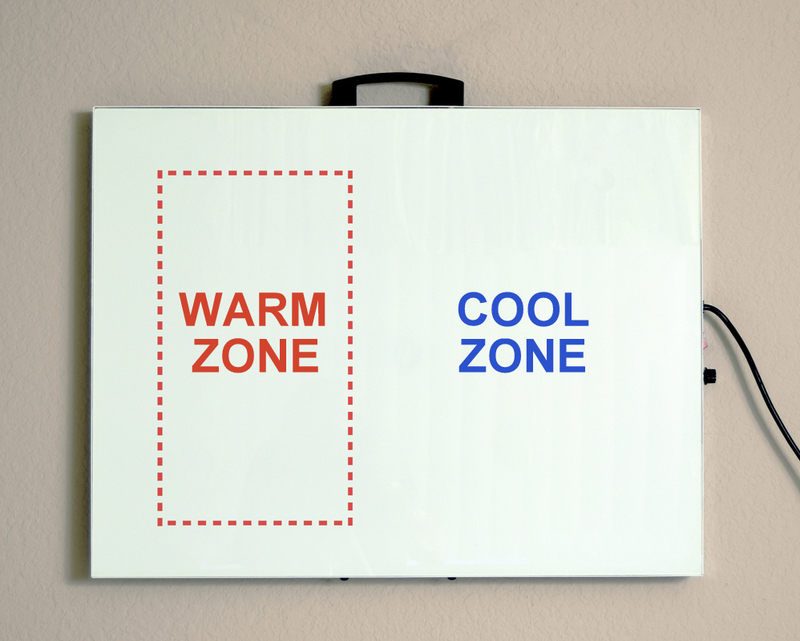 All around this area and on the cool zone of the board the tempered glass remains at near room temperature. In general, the WARM ZONE is used for mixing pigments, blending, burnishing and reworking. The COOL ZONE is used for line drawing, detailing and finishing touches. By shifting the artwork between the two zones, the artist can take full advantage of the intrinsic properties of wax-based drawing media. With all the Icarus Boards one can actually work on a much larger piece than the size of the board itself. 20" W x 26" L x 1¾" H, 15lb. 14" W x 20" L x 1¾" H, 9½lb.